We are always shocked and disturbed when we hear about workplace disasters. These reactions primarily focus on the workers who are killed or injured and their families. But amidst this expression of humanity, questions begin to arise. How did this happen? What was the cause and who is responsible? Could this have been avoided? Who was monitoring the safety of this job site? Most regulatory inspections begin with an opening conference, during which the compliance officer meets with management and selects employees to explain the purpose and procedures of the inspection. Then, the compliance officer and selected organizational representatives will conduct a walk around of the job site, inspecting for hazards that could lead to employee illness or injury and pointing out potential violations to be corrected immediately. Lastly, the compliance officer again meets with the organization’s personnel in a closing conference to discuss the findings of the inspection, the courses of action to be taken to comply with OSHA standards, and any citations or penalties incurred. Violations typically result in fines, and deadlines are given for substandard working conditions, with the threat of further action for non-compliance. Employers do have the right to appeal citations, though in most cases, they are resolved by negotiating settlement terms. 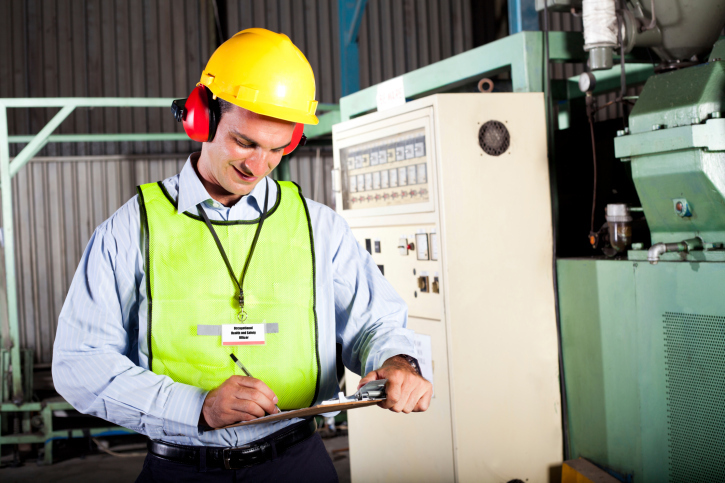 What can employees do between inspections if they believe that there is a serious safety hazard present at the job site or that the organization is not following OSHA standards? Aside from raising concerns directly to management, one option is to file a complaint and ask OSHA to inspect the workplace. Individuals can do so personally, through a union representative, or through an attorney, and their anonymity will be maintained if they ask OHSA not to reveal who filed the complaint. During the inspection, the complaintant and his/her representatives have the right to follow along with the inspection, talk privately with the inspector, and take part in the opening and closing conference meetings. To ease concerns about organizational retaliation for whistle blowing, employees who are considering filing a complaint should know that it is a violation of the Occupational Health and Safety Act of 1970 (OSH Act) for employers to fire, demote, transfer, deny a raise, or discriminate in any way against a worker for filing a complaint or using other OSHA rights. Complying with regulatory inspections is a necessary step in maintaining high organization-level SafetyDNA. But what happens when inspections are not conducted regularly? In a follow-up piece, I will address the efficacy of safety self-regulation when external compliance measures are inconsistent or not enforced.